European Movement International is a network of organisations that has mobilised citizens & advocated for a democratic, federal & enlarged union since 1948. The work of the European Movement International is organised into Political Committees, each of which take the lead on set themes decided by the members at the Federal Assembly. Economy and Social Affairs was selected as one of the EMI’s main work areas at the EMI Federal Assembly 2011. Since this time, the EMI has addressed several economic issues such as the Single Market Act, the EU 2020 Strategy for smart, sustainable and inclusive growth, the European Economic Governance and the Financial Regulations. Institutional Innovations has been a main work area of the EMI since its Federal Assembly, 2012. Since this time the Movement has been involved in work on various topics including the European Citizens Initiative (ECI), the Green Paper on European civil dialogue Art. 11 (1)/(2) and the Future of Europe Debate. In recent months this has also led to work on engaging citizens in the 2014 European Parliament elections and pushing for further development of the EU institutions. The European Movement Training Academy provides quality trainings on European affairs for both professionals and students. It does through offering annual trainings in Brussels and Strasbourg for university students interested in working in the EU sphere; specialised trainings for teachers aiming to learn the basics of the EU and/or to learn about EU youth programmes; thematic trainings on specific European policies or current affairs debates in Brussels; Tailor-made trainings. 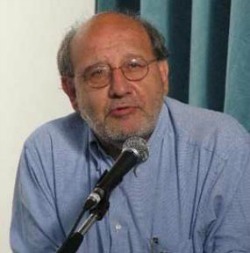 Pier Virgilio Dastoli is President of the Italian Council of the European Movement, member of the Spinelli Group, and author of numerous articles and essays on Europe. He was assistant of Altiero Spinelli in the Italian Chamber of Deputies and the European Parliament from 1977-1986, founder and spokesman of the Spinelli Committee for the United States of Europe, Secretary General of the International European Movement from 1995-2001, and Director of the European Commission Representation in Italy from 2003-2009.